Sonic returns in another adventureous series. But Eggman returns as well! Eggman captures Tails,Amy,and the others! Can Sonic save them? Of course he can! 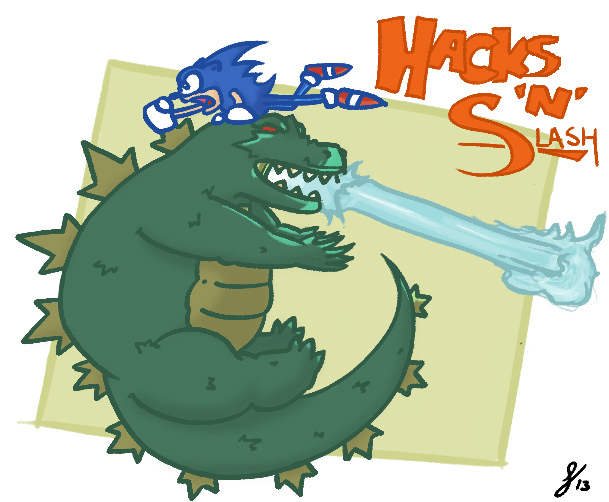 The GameCola Players return with the newly dubbed “Hacks’n’Slash” podcast (formerly known as “Read it and Weep,” which is a title apparently already owned by some other high-quality podcast). In this episode, we have: Sonic the Hedgehog fanfiction. Oh man, this is absolutely the best thing ever. I had to stop halfway through because I’m at work and couldn’t hold in my laughter. Forget writing articles, we need to just put up seven of these a week. My friend came over and the two of us listened to this. She laughed so hard. This was so much fun. A licensed game based on a license you've never heard of.